Chef Gunnar Gislason celebrates Iceland’s unique culinary heritage, embracing once-forgotten ingredients and techniques at his much-loved Reykjavik restaurant Dill. In his new cookbook North, written in collaboration with food writer Jody Eddy (author of 2012’s Come In, We’re Closed), Gislason and Eddy profile various artisan producers who are reviving Iceland’s culinary heritage–a farmer who saved the country’s goat population from extinction, another who single handedly returned the tradition of barley farming to the nation, and people smoking Arctic char or producing salted cod in traditional ways. You’ll also find an equal amount of recipes and breath-taking photographs, that will certainly put Iceland at the top of your must-visit destinations. We talk with Gislason and Eddy about foraging, saving old food traditions, and what not to miss on your next trip to Iceland. AndrewZimmern.com: What is new Nordic cuisine? Jody Eddy: The contemporary Nordic kitchen is one steeped in the world around it, drawing inspiration from the region it is located in, with an emphasis on ingredients sourced from that region. The principles of the new Nordic kitchen can be applied anywhere on the planet since they are about appreciating the environment in your own backyard and using the resources there to create something comprised of elements found close to home. AZ.com: How does foraging fit into your cooking philosophy? Gunnar Gislason: Foraging is something innate for me, not an of the moment trend. I have always looked to the environment that surrounds me for the bounty of ingredients it has to offer. I hope that North will inspire others, no matter where they are in the world, to do the same. AZ.com: What ingredients do you forage for at your restaurant Dill? JE: At Dill, Gunnar forages for a wide variety of Icelandic ingredients including lemony wood sorrel, angelica that has a hint of juniper, and birch which he uses for everything from smoking fish, lamb, and vegetables with its leaves to infusing schnapps with its twigs. AZ.com: What inspired you to revive old Icelandic food traditions and which ones are most meaningful to you? GG: I grew up in the Icelandic countryside, in the north, where traditional Icelandic food traditions have always been integral to who we are as people and as cooks. One that really resonates for me is Icelandic bacalao, or salted cod. Bacalao traditionally requires nine months to a year to prepare properly, but today cod is being injected with a saline solution and marketed as bacalao. It has nothing to do with the original and is an example of why it is so important to me to save these old practices that are quickly disappearing as a result of our instant gratification world. AZ.com: Tell us about some of the unique purveyors you found who are reintroducing and sustaining native products. JE: We profile a barley farmer in eastern Iceland who has nearly single handedly returned the tradition of barley farming to the nation. There was Prohibition on beer in Iceland until the 1990s and as a result, most of the barley fields disappeared. He has been on a mission for 25 years to reintroduce the Icelandic people to eating barley into imported, and less nutritious, white rice and today his products can be found in nearly every market throughout the country. There is a goat farmer profiled in North who essentially saved the Icelandic goat from extinction. She was a nurse in Reykjavik who decided to give it all up to farm goats. At one time, the goat population, a unique species in the world, had dipped to below 90 animals. As a result of her tireless efforts, the numbers have soared to nearly 900 animals. She is slowly reintroducing products such as goat milk, goat cheese, and goat meat to the Icelandic people, ingredients once revered by their ancestors but essentially lost in the wake of the goat population crisis. AZ.com: Anyone doing that with cooking or preserving techniques? JE: Absolutely. We profile an Arctic char smoker in an otherworldly place in northern Iceland called Lake Myvatn. His family has been smoking char in the traditional way for generations. Today, most of the Arctic char sold throughout Iceland is smoked quickly in huge dehydrating rooms which strips it of flavor and any connection to the past. We also visit a bacalao, or salted cod, producer in a small coastal village in northern Iceland who essentially sustains his entire village with his bacalao factory. He salts his fish and dries it over the course of nine months to a year, the way his family has done it for many generations. A common story told by Iceland’s traditional producers is that the next generation is not interested in their work and there is no one who will carry on the tradition. Fortunately, in the case of our bacalao tradition, his grandchildren are showing a keen interest in his work and will most likely ensure the preservation of what is to Iceland a nearly thousand year old legacy. There is a hardfiskur producer in North who preserves wolf fish in the same way Icelanders have done since they first arrived in the ninth century by carefully filleting it and leaving it to dry for several months in open-air drying houses on the edge of the ocean. Soil is in short supply in Iceland and Icelanders often eat hardfiskur with a slick of butter as a nutritious and flavorful substitute for bread. AZ.com: How did the country’s economic collapse affect the restaurant industry and your business? JE: When the Icelandic collapse happened, Gunnar had just left a lucrative cooking position to open Dill. His investors pulled out overnight and as he says, “my credit cards burned red” in his effort to open the restaurant on his own. He could not pay many of his producers at first but they supplied him with product anyway because they had faith in him and knew that one day he would pay them back. Gunnar was eventually able to pay them back and profiling them in North is another way to honor them. I first traveled to Iceland just a few weeks following the economic collapse and have been there over forty times since. The restaurant industry was in a dismal state following the financial implosion that left many chefs reeling from soaring food costs and workers they could no longer afford to pay. Many that I first visited have since shuttered their doors but there is a silver lining. Since chefs could no longer afford to pay for expensive imports, many started looking for products in Iceland. Gunnar pioneered this effort and as a result, today restaurant menus are filled with local ingredients such as blue mussels, farmhouse cheese, craft beer, Icelandic lamb, small batch spirits infused with Icelandic botanicals, and artisanal geothermal salts. It’s a good time to be a chef in Iceland but that certainly was not the case a few years ago. 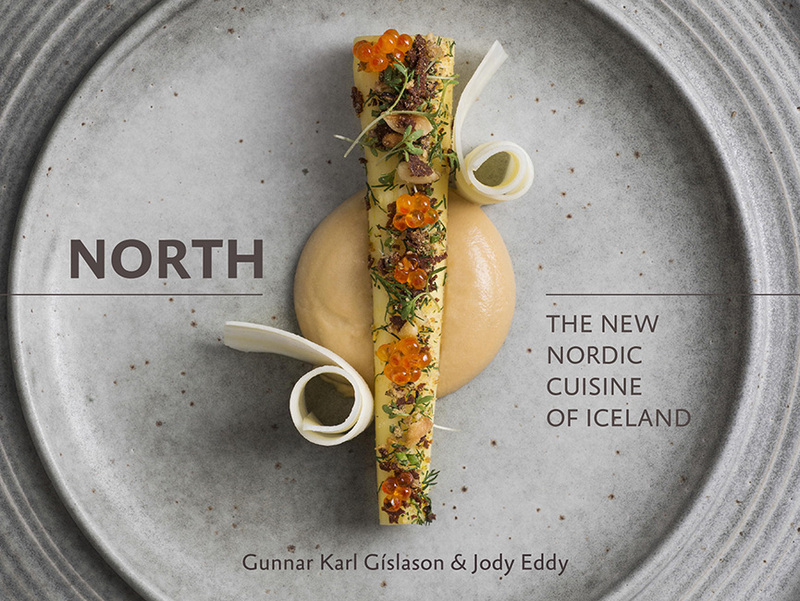 AZ.com: How do you hope readers and cooks will use your new cookbook North: The New Nordic Cuisine of Iceland? 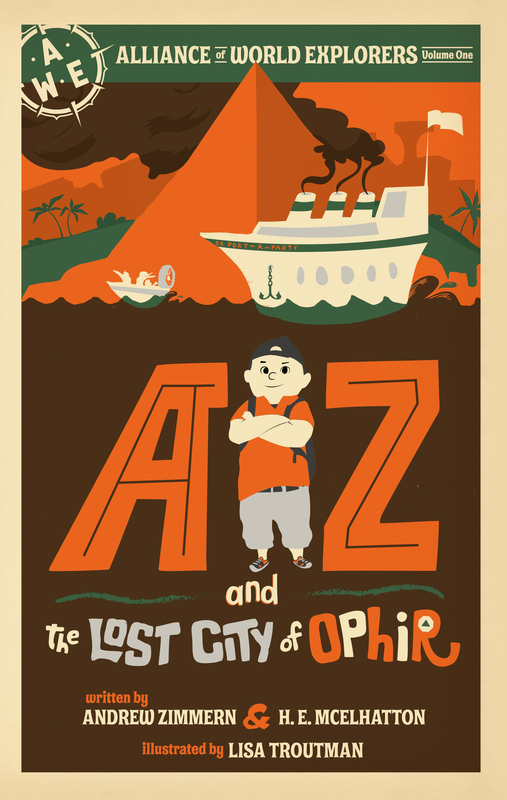 JE: We hope that readers will appreciate our book on many different levels: as a cookbook, a travel guide, and a source of inspiration during times of hardship and struggle. Many of the producers in our book have endured so much to carry on sometimes centuries-old traditions. They have done so throughout periods of tremendous adversity but in spite of the cards being stacked against them, they have carried on. 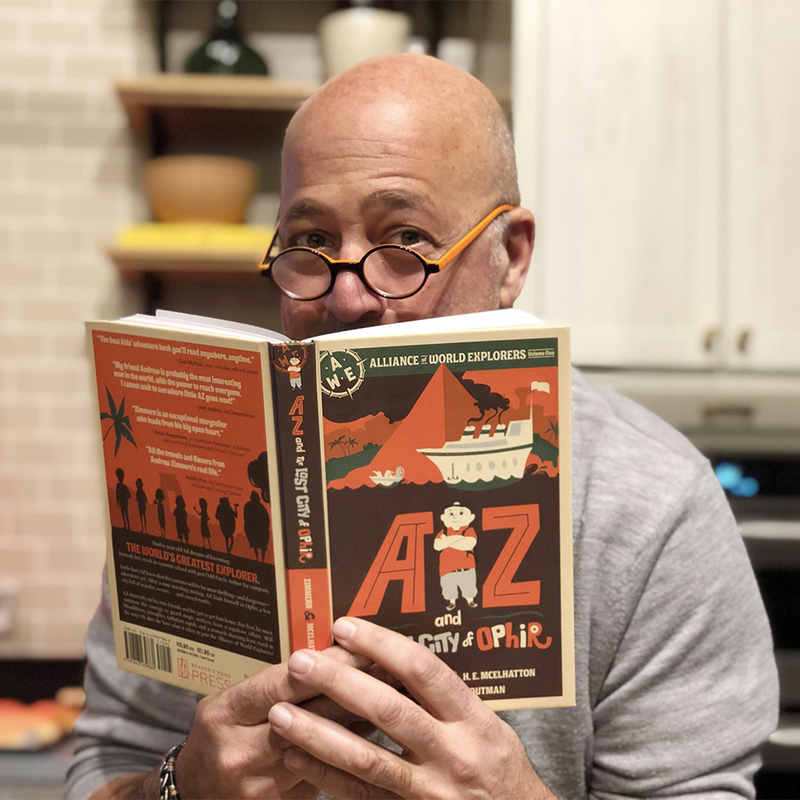 We hope that those cooking from North will be inspired to approach recipes in the same way that Gunnar does; transforming humble ingredients into remarkable flavors, using items they would typically discard in inventive new ways. AZ.com: Tips for those who are unable to source some of the ingredients that are readily available in Iceland… i.e. reindeer or birch? JE: We understand that some of the ingredients might be a challenge to source outside of Iceland and have provided a substitution guide for ingredients such as wood sorrel, angelica, birch, and reindeer. For example, we discovered throughout the recipe testing process when we were short on birch that bay leaves are a good substitute, venison is a good stand-in for reindeer (although we actually don’t have a reindeer recipe in the book), and salmon is an ideal substitute for Arctic char. AZ.com: What are 5 things a first-timer must do in Iceland? JE: Geothermal pools are a must. There is nothing like soaking in a warm, turquoise blue geothermal pool on a cold Icelandic day. They are everywhere in Iceland and one of the populations’ tricks for looking as vital and refreshed as they always seem to do. Iceland is a seafood lover’s paradise and since the environmental protection policies are so strict, they are sourced from some of the most pristine waters in the world. Langoustines, blue mussels, Arctic char, and bacalao are plentiful and not to be missed. North is a road map to some of Iceland’s most inspiring food producers who are always proud and willing to show visitors their traditions. If you are interested in food, a visit to one of them such as the goat farmer, barley farmer, hardfiskur producer, or salt maker will make your trip feel special and unique by providing you with an insider’s view into what really makes Iceland tick. Iceland is all about getting off the beaten track and it’s difficult to get lost since there are so few roads. There is a well worn journey to all of the usual tourist hot spots such as The Blue Lagoon, Geysir, and Gullfoss, all of which are remarkable, but I would recommend driving a bit further to explore some of Iceland’s less iconic but no less remarkable nooks and crannies. If you’re ever interested in seeing the country through the a gastronomic lens, I lead culinary tours there each summer. The island of Vestmannaeyjar is only a 45 minute ferry ride from the mainland of southern Iceland and the ferry terminal an hour’s drive from Reykjavik. For me, this is one of the most beautiful places in Iceland, and that is really saying something. It’s a nature lover’s dream with puffins and other seabirds soaring overhead, staggeringly high cliffs, and plenty of opportunities for kayaking, fishing, and hiking. GG: Skyr, a creamy Icelandic dairy product similar to Greek yogurt is always there, as are other dairy products such as creamy Icelandic butter and milk. Icelanders love their dairy and I am no different. I like hardfiskur, like an Icelandic fish jerky, for snacking, along with smoked Arctic char that pairs perfectly with butter and the sweet geothermally baked rye bread known as rugbraud. I rarely, if ever, use pepper but I do love the Icelandic geothermal salt from the company Saltverk along with beer vinegar, something I make myself that I use to brighten up nearly everything. Of course, no Icelandic fridge would be complete without a beer or two and for me, there is nothing better than a white beer flavored with a hint of orange peel and coriander from the company Einstock. Sneak Peak: Get recipes for Fennel Salad, Cottage Cheese & Spiced Nuts, and Apple Cake with Porter Fudge Caramel from North. 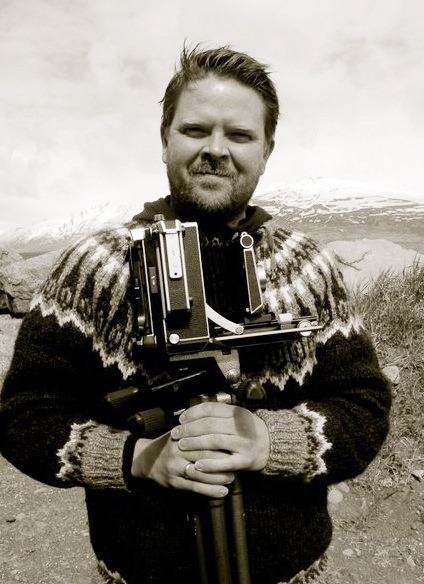 Gunnar Karl Gíslason graduated from the national four-year culinary program in Iceland that included cooking apprenticeships throughout the country, before assuming a position at the Reykjavik-based restaurant Hotel Holt, a pioneer in traditional Icelandic cuisine. He then relocated to Copenhagen where he worked at the landmark restaurants Sasson and Kommandanten. 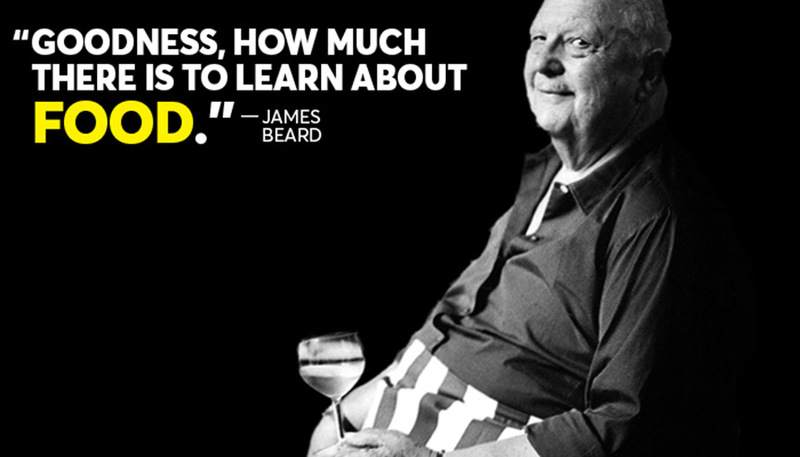 It was in Denmark—guided by the wisdom and foresight of his mentor at Sasson, an early practitioner of the doctrine of new Nordic cuisine—that Gunnar’s philosophy of contemporary cooking using local ingredients sourced from traditional producers began to take shape. Upon his return to Iceland, Gunnar trained with chef Siggi Hall—a celebrated disciple of traditional Icelandic cooking techniques—before becoming the Executive Chef of Vox, the first restaurant in Iceland to embrace the tenants of the Manifesto for the New Nordic Kitchen. Gunnar’s devotion to contemporary Nordic cooking using local ingredients sourced from traditional producers resulted in a groundbreaking menu that earned Vox international acclaim and transformed the culinary landscape of Iceland virtually overnight. As a result of Gunnar’s provoking cuisine, his nation became a fundamental player in a captivating movement that was soon to transfix the gastronomic universe—new Nordic cooking. Gunnar opened Dill in Reykjavik’s historic Nordic House with his business partner Ólafur Örn Ólafsson in 2009 because he desired a place of his own where he could refine his culinary repertoire and fully realize his dreams. His contemporary cooking celebrating Iceland’s pristine ingredients and artisanal producers has garnered acclaim in international publications around the world. It has been nominated for the Nordic Prize and has earned numerous accolades including Iceland’s restaurant of the year every year since it opened. In his spare time, Gunnar can be found foraging for ingredients to stock his restaurant’s pantry with his children, or salmon fishing in one of Iceland’s glacial rivers. 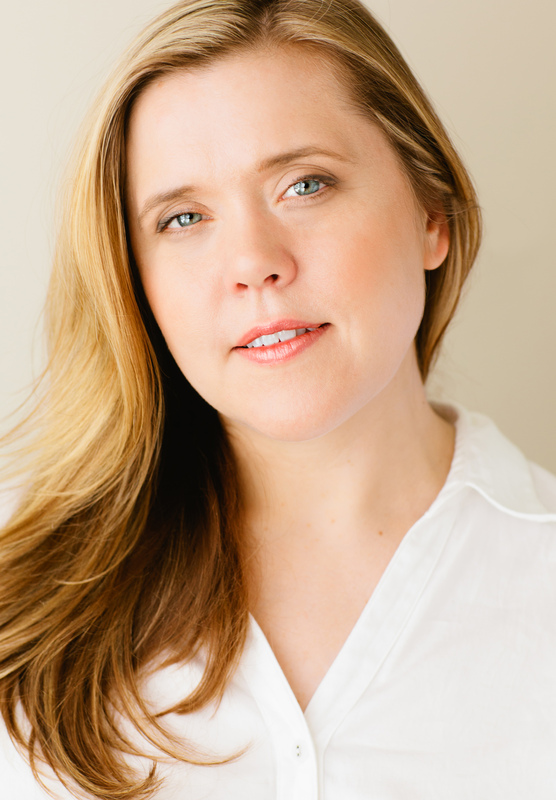 Jody Eddy is an honors graduate from The Institute of Culinary Education in Manhattan. She is the former Executive Editor of Art Culinaire, a premiere restaurant-focused publication highly regarded by culinary professionals. In addition to writing the editorial and recipe content during her three-year tenure at the publication, Jody oversaw all of the photo shoots, interviewed each featured chef, and edited and tested all recipes. She profiled dozens of chefs and culinary luminaries during her time at Art Culinaire including Ferran Adrià, Alain Ducasse, Nathan Myhrvold, Thomas Keller, Fergus Henderson, Sean Brock, José Andrés, Wolfgang Puck, Ted Turner, and Alice Waters. Her first cookbook Come In We’re Closed: An Invitation to Staff Meals at the World’s Best Restaurants, was published by Running Press in September, 2012 and was nominated for a James Beard award. The cookbook profiles the staff meals of 25 of the world’s best restaurants including Michel Bras, The Fat Duck, Martin Picard’s Au Pied de Cochon, The Slanted Door, wd-50, Craigie on Main, Arzak, McCrady’s, Mugaritz, St. John and Dill. Ferran Adrià penned the book’s foreword. Her second cookbook North: The New Nordic Cuisine of Iceland exploring the traditional food producers of Iceland was published by Ten Speed Press in September, 2014. Noma’s Rene Redzepi wrote the foreword for North. Prior to assuming her position with Art Culinaire, Jody worked as a cook in restaurants around the globe, including Jean Georges and Tabla in Manhattan, and Heston Blumenthal’s The Fat Duck in England. She is the author of the food blog www.jodyeddy.com, a freelance food writer for publications such as The Wall Street Journal, Food & Wine, Food Arts, Food Republic, Plate Magazine, and The Local Palate and is and member of several culinary organizations including The New York Chapter of Les Dames d’Escoffier, IACP, and serves on the Board of Directors of the NYWCA. She teaches culinary courses around the country including at the Bowery Culinary Center and Astor Center in New York, The Puget Community Co-op in Seattle, and Kitchen Window in Minneapolis. As a devoted student of culinary history, tradition, and evolution, she has presented and taught at the Oxford Symposium on Food & Cookery, the IACP national conferences, the Culinary Institute of America, and at the Google headquarters for their author series. Jody is a consultant and recipe developer for major food brands and she also leads culinary tours. Her recent trip to Iceland (www.icelandculinarytours.com) was profiled by such media outlets as The New York Times and CNN. Her next trip is a food and photography tour of Ireland, scheduled for December. She is also launching a line of artisan Icelandic food products in the spring of 2015.